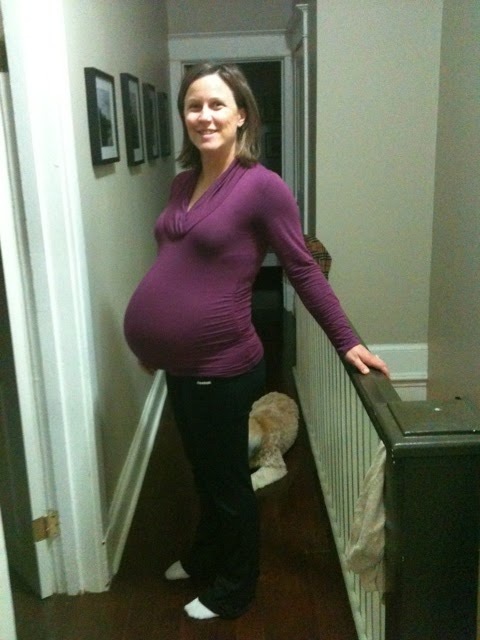 I didn't get my act together to do a 31 week bump picture. Here is the ever-expanding bump at 32 weeks! A few people at our shower yesterday (blog entry to come) actually said that they expected me to be bigger. They made my day! Jenn and I did a baby care class tonight at Sunnybrook. It was actually really informative. 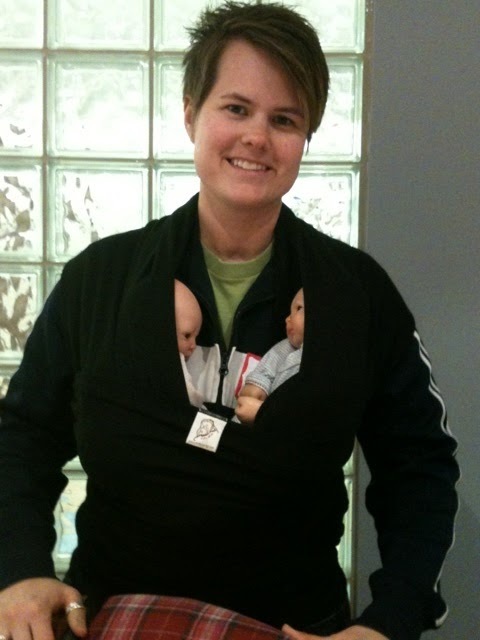 She briefly talked about the different baby carriers that are out there. She used a few people in the class to model them. Jenn was lucky enough to be chosen to model the twin Moby wrap. Not sure if we'll be putting this into practice with our twins, but I had to capture it on camera nonetheless! People who have seen me or seen pictures of me also tell me they're surprised I'm not bigger! It's been freaking me out, honestly. And good to see that a Moby can hold twins! That carrier is too cool! I had no idea they had a twin Moby! Apparently it's just the regular Moby - I actually just found that out this morning! You can wrap it in different ways!